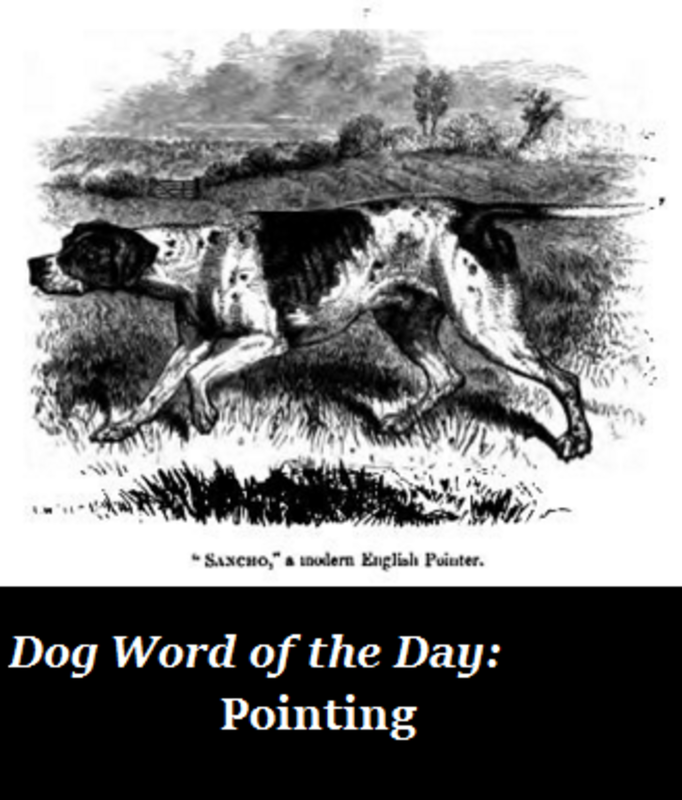 Pointing in dogs is a behavior that has been cherished by hunters for many centuries. Not all dogs are suitable for the task, which is why we have specific dog breeds who specialize in pointing, but how did pointing develop in the first place? If we asked the average dog, the sight of birds would maybe trigger the impulsive chasing instinct causing the birds to flee prematurely, something not very helpful for hunters who wished to just aim and shoot! Pointing behavior as seen in pointing breeds therefore must have required a certain level of constraint, something that must have happened over years of selective breeding. What exactly is pointing behavior in dogs? If you ever saw a dog holding very still after spotting prey, that’s an example of pointing. Perhaps you may have seen some paintings from the past depicting a dog pointing with his muzzle extended forward, and one paw raised up. Perhaps behind the dog was a hunter aiming with his rifle at a bird. This is an example of pointing. Before rifles were invented, hunters were using nets to capture birds. The dog’s pointing behavior grabbed the hunters’ attention and indicated where the birds were so they could toss their nets. The pointing behavior was very valuable because dogs are better than humans in detecting prey. 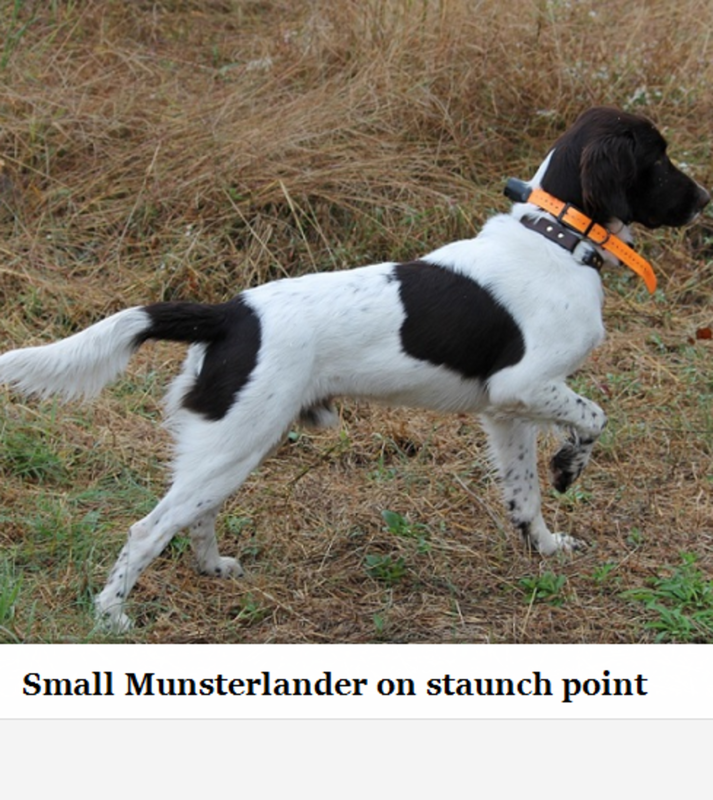 Several pointing breeds that specialized in this style of hunting were therefore developed. 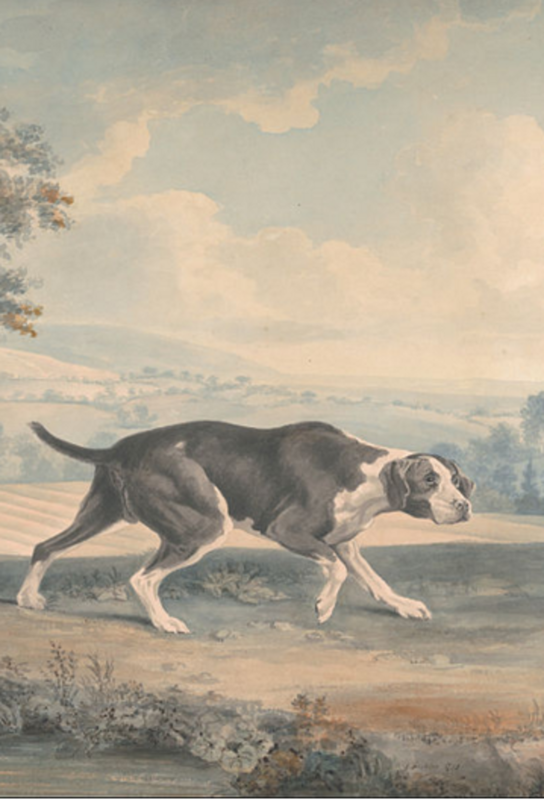 Pointing dog breeds date back to the 1650s when in Europe hunters were still using nets. There is belief that the first pointing dogs breeds originated from Spain and then spread to other parts of Europe. Each region developed its own pointing dog with characteristics meant for that particular region and with its type of prey, but most of these dogs likely derived from a single, common ancestor. There is belief that the Old Spanish Pointer is one of the great ancestors of most pointing dogs, but more research is needed. Did you know? The University of California Davis has been collecting DNA from pointing dogs in hopes of tracing a “Pointing Dog’s Family Tree” and unlocking the origins of pointing behavior. This “stop-listen-look” behavior is likely a way the animal can focus on his sensory receptors so to quickly collect data before making that pounce that makes the difference between dinner or perhaps another day of starvation. There are chances that thousands of years ago, hunters may have observed the same behavior in certain dogs and they must have refined it through training so to put it to good use. For many years, they must have selectively bred dogs based on their natural ability to hold longer and longer pauses in their pointing behaviors. Eventually, at some point, they must have stumbled on dogs who would freeze at the mere scent of prey without even being prompted to do so. “The act of pointing is probably, as many have thought, only the exaggerated pause of an animal preparing to spring on its prey.” ~Charles Darwin. 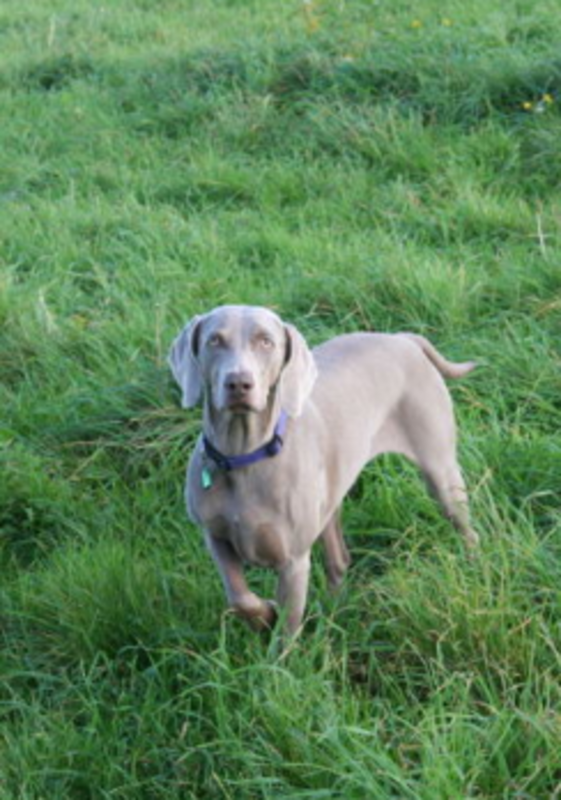 Why do dogs point even if they don’t belong to a pointing breed? As we have seen, the behavior is natural and even if your dog isn’t a pointing breed, you may occasionally stumble on him “pointing” by default when he spots an animal. While the behavior of pointing was selectively bred for in certain breeds, several dogs will also exhibit it to some extent, perhaps though in a more “amateurish way” compared to the experts in the field. This may be just natural behavior, or if the dog is a mixed breed, it could be that somewhere back in time there may have been some hunting dog’s bloodline mixed in the dog’s heritage. 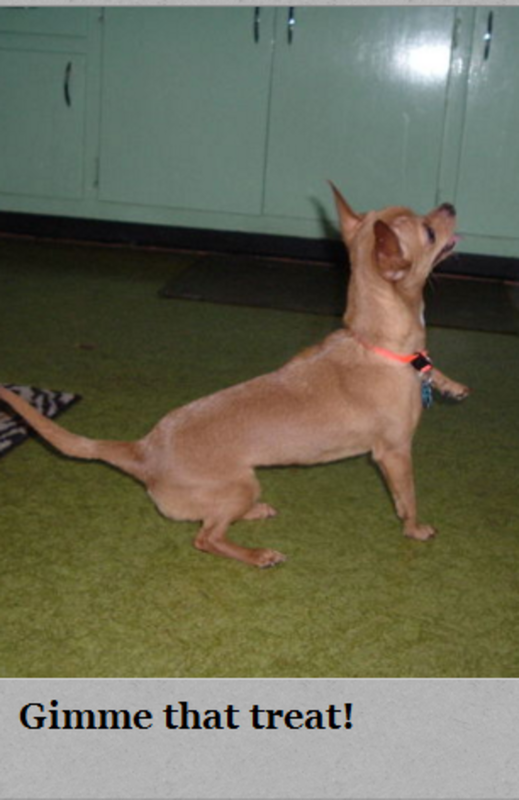 On the other hand, you may see a dog lifting his paw up when no critters are around, what does it mean? It really depends on context. Generally, paw lifting behaviors are seen when something is about to happen, explains veterinary behaviorist Lisa Radosta. It could be the dog is anticipating a treat from the owners or it could be he’s even getting ready to lunge and bite! That paw lift is signaling that something is about to happen and the dog’s accompanying body language should give a hint as to what. 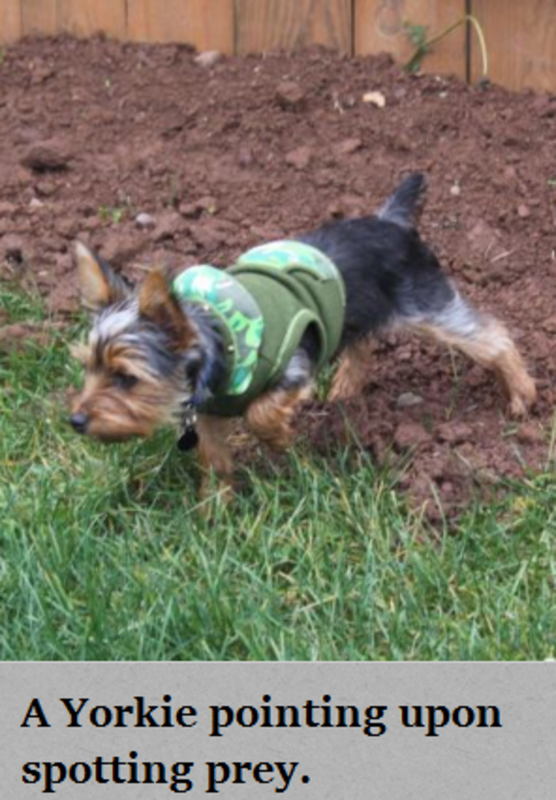 A paw lift can also be seen when dogs feels uneasy or mildly stressed such as when a small dog is surrounded by unfamiliar dogs or a person approaches too fast.